Today's round with the TPT 15 was very impressive. One of the guys I played with hadn't seen it yet. He was amazed how dead straight I was hitting the ball. I usually have some movement, depending on what I'm trying to do. I just went with it and enjoyed the stress free day off the tee. My playing partner for our upcoming member member tourney wasn't too happy when I told him I'll be testing a shaft leading up to it but he's fully on board now. On our 9th hole (you can not go left) he mentioned he never saw me line up down the left side and stay aggressive like I did today. I have no fear of pulling it. I made a few minor adjustments and only hit one a little right, but very playable. I lifted up on one shot and hit a stinger down the middle that ended up where I'd normally be on a good swing. The rest was just like hitting the repeat button. About Me - 35 year old father of 2, so have found myself having less and less time to play over the past several years. I love the game of golf and have played since I was 10. Since graduating from college, work and family has reduced my time on the course, so my handicap has gone from 2 to 10+ (due to a year long case of the yips), back down to around an 8 now. My Swing - Compact with a late release, moderate tempo. Stock 7i is 170yds. My Driver Shaft Preferences - I tend to be more consistent with a shaft that has some action to it as I can feel where the head is during the swing to time the release. Boardier feeling shafts tend to result in over-swinging and timing issues for me. I honestly had no expectation of what shaft I'd end up in, but based on what I've played I figured to end up in the 15 or 16 series MKP as I have had good results with mid kick point shafts over the years. Current Setup - I have been gaming the Rogue Sub Zero 9* with Atmos Tour Spec Black 6x. I've had good results with this combo in general, but have had dispersion issues from time to time when things get out of whack. The Club Champion Experience - If you've never been to a place like this, you owe it to yourself to try out. They have a wall of shafts and heads to try. You can try any shaft with any head with their universal adapters. As an equipment junkie, this place gets my blood pumping! Unfortunately, the Cary, NC store I was in had AC problems begin that morning, but we sweated through it. My fitter, Kyle Anderson did a great job and was patient and knowledgeable. TPT Experience - We began with hitting my gamer to establish a base line. I hit some good and some wayward ones, which is the norm. I am one that is quick to know if I like something or not just based on feel. I will say I'm pretty sensitive to swingweight too. Some felt much heavier than I prefer, which I'm sure caused some of the consistency issues I ran into. I hit some good ones with the 15 series, but just couldn't find the consistency I wanted. The 16 MKP gave me a touch more of the feel I was looking for, but I was still lacking the consistency. The 16 LKP was like someone flipped a switch for me. I suddenly found the feel I was looking for and consistency picked up drastically. Naturally I had to test another head against my Rogue SZ, so I went with one I gamed for a while before I got the Rogue, the G400 LST. The numbers were honestly quite similar, but I did find dispersion to be a touch better for me. I'd be perfectly happy with either on any given day. The biggest takeaway from my run with the TPT thus far is that it generates so little side spin it's amazing. I hit a few that I thought would be left or right of earth that would be perfectly playable. In general, I can work it left or right, but it just wants to go straight. My Build - I have a prototype TPT shaft as well that I've used a bit with my Rogue SZ with great results. I ultimately got very similar numbers with that shaft as I did the 16 LKP, so I requested the 16 LKP to be built with a Ping adapter so I can compare the Rogue SZ and G400 LST side by side to see if I can catch lightning in a bottle with one of those heads. SST Pure TPT 16 LKP MT SW with G400 adapter playing at 45" with a Golf Pride New Decade MCC Align grip. 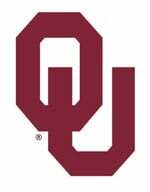 That's a good looking flag in your avatar my friend! Going in for my fitting tonight, can't wait. 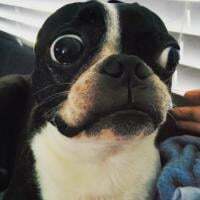 Although, I'm a bit worried. I took 3 weeks off playing, and went out for a round last night so I wouldn't go into my fitting cold. I had the worst day off the tee that I've had in years. My slice from high school came back out of nowhere. In the month of July I played 5 rounds of golf, and averaged 64% fairways hit and an average of 274 yards with my driver. Yesterday, after the long break of not swinging a club, I hit 1 out of 7 fairways with my driver. My distance was still there, but I either started the ball off right with a push, or started it center and it sliced. I haven't played like that in the longest time. It was really frustrating. So...I'm hoping that goes away for tonight's fitting. If reading through this thread has my hopes up for anything though, it's a much tighter dispersion! Picked my 16 LKP up Saturday from Club Champion, have one round with it and want to play some more before writing a review. After the fitting, it took 3 weeks for the shaft to come in so I have to refresh my memory about the initial fitting at Club Champion Atlanta. Stay tuned... Initial pics added, I do wish the graphics could have spined down, mine are directly down the top of the shaft. 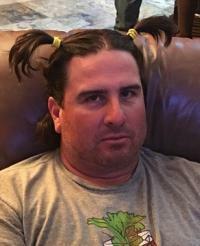 Bio: 43 years young, 6'2", 250lbs with an average to moderately fast swing which according to trackman averages 107.5 MPH creating ball speeds averaging 160-161mph and smash factors around 1.5 producing total carries in the 275-280 range. My GHIN index is currently 0.4 and I play on average 3 times a week and practice maybe once or twice a week. My gamer and favorite club in my bag is my Ping G400 10* LST which is a tour issue head with 3g of hotmelt in a neutral position shafted with a Kuro Kage 60XT dual core TiNi TS Proto playing 44.5 inches tipped .5 inches. I may miss 1-2 fairways a round with this combo. Fitting experience: I would like to start by saying Robert Anderson (master fitter) and Nick Sherburne (master builder) at Club Champion Atlanta are two of the most professional and knowledgeable guys I have ever worked with in a club fitting experience. Rob was very patient and understanding and very educated with all the facts about the TPT shaft line. He gave me the full company bio and also went through all the shaft profiles as they related to swing speeds etc. I cannot say enough about my experience with these guys; very accommodating and very professional! My swing speed averaged 107.5 on the trackman, yet I had better results with the 16 LKP which is recommended for speeds up to 105. 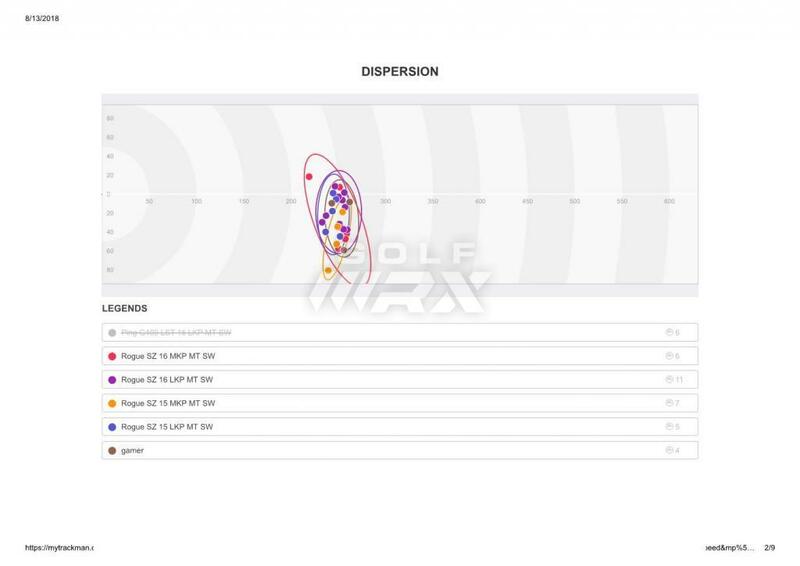 My dispersion was tighter with the 15 LKP, but my launch and total distance was greater with the 16 LKP. I tried all 4 shafts in the 15 and 16 TPT line-up in my fitting session. Course experience after 5 rounds: I want to start by saying I may be the only one in this group of testers who didnâ€™t find the TPT to be the shaft that beat out my gamer. 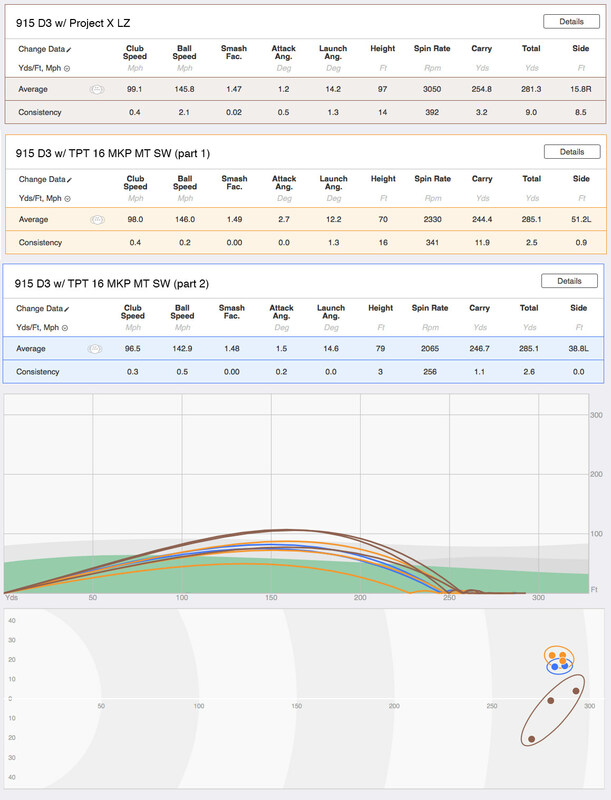 On the trackman, the numbers indicated the TPT was the shaft for me, but on the course I have found that not to be the case. With my current gamer setup, I pick a target and hit it trusting it is going to be somewhere in a close vicinity getting there with a mild draw or straight ball flight. My experience with the TPT has been overly sporadic on the course. My playing partners are even questioning why I would test out another shaft after all the ones I went through to find this one. I donâ€™t have that trust factor that it is going where I want it to after having five course rounds under my belt. The G400 LST with KK just works for me. With that said, I purchased an M3 head yesterday to continue testing the TPT shaft in. 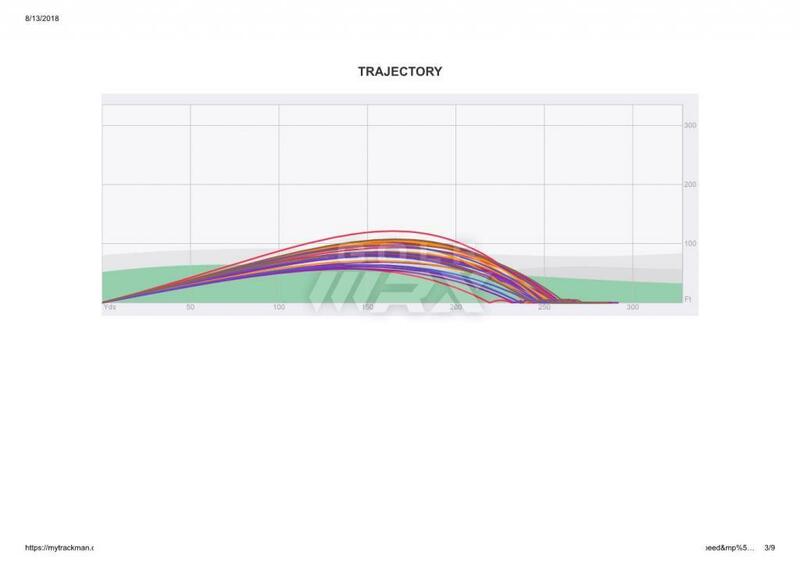 I think the shaft looks absolutely amazing and really want to find something it works in for me on the course like the numbers I was seeing on trackman. I am going to get my guy to swap out the adapters and continue my testing with the M3 and will report back. 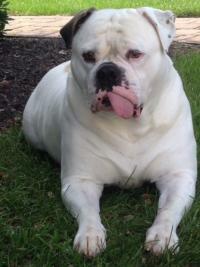 Stay tuned as this TPT review along with additional pics is to be continuedâ€¦. I think my spam mail ate my initial trackman report. 8/28/18: I have played 5 rounds now with the TPT LKP 16 in the M3 head and the consensus is this shaft just isn't for me. 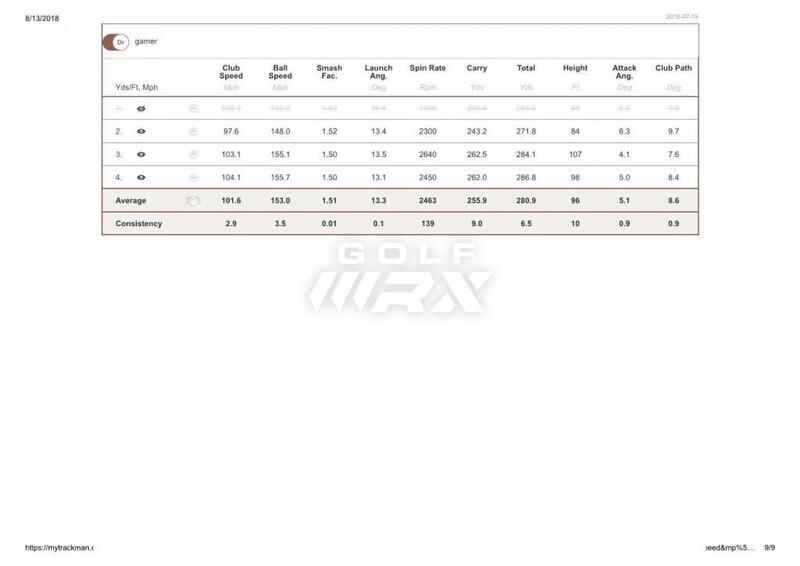 It is consistently tighter in dispersion, but I have lost seemingly a good bit of distance compared to the Kuro Kage proto xt 60 I have in both the Ping G400 LST and M3 heads. 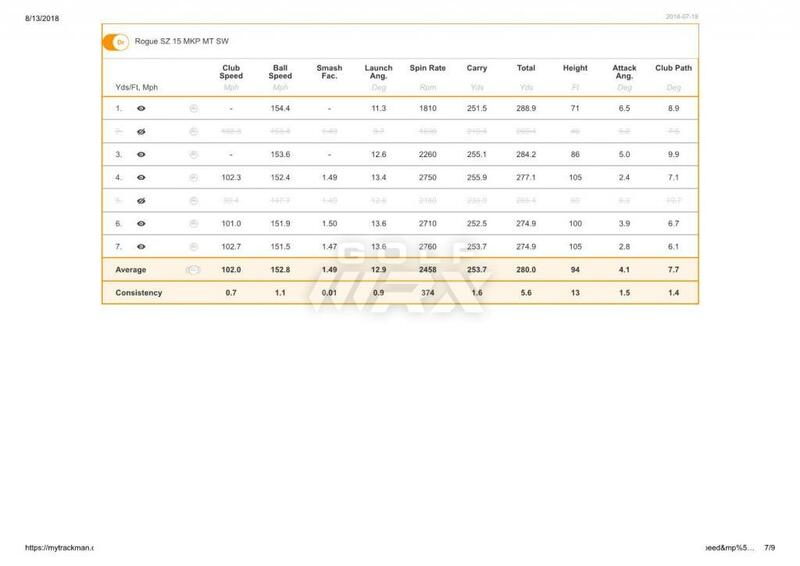 From the fitting at Club Champion, I created more clubhead speed and smash factor on the trackman with the KK as well but the dispersion was tighter with the TPT which is what had me sold on the shaft until I got it out on the course. My swing speed with the KK averaged 108 while averaging 104.5 with the TPT. I am going to continue to try it out to see if I can get better results out of it, but for now I am going back to the KK in preparation for the State Mid-am. Finally got to my fitting last night. Fair warning, it's been a while since I've played, and my swing was definitely not 100% in form. And like many others, it was a bit warm & toasty in the fitting room, and my club head speed definitely kept dropping as the fitting went on. So, my history with The Driver is long and rough. I've been playing since I was 2 years old, but have never taken a lesson, and I hate practicing. I'm a very short dude, and drivers have just never really fit my eye. Played my entire high school years (4 years of Varsity) without ever owning a driver. Just took a fairway wood off every tee. Then, about 6 years ago, I got an R7 from a thrift store for super cheap. Still had a small head, so I messed around with it. Added some heavier weights, threw on some lead tape, and cut it down super short. I'm talking...a 40" driver. My 3 wood was longer. But I learned how to hit a driver with that club. A few years back, I upgraded to an SLDR 430cc, and really got on well with it. Started hitting the ball much further than ever before. Now, currently, I've been playing a Titleist 915 D3 for the past 10 months. I purchased it off Craigslist for cheap, and immediately was hitting it further than the TaylorMade. It just came with an Aldila RIP, 60g stiff shaft. It's nothing I would have chosen for myself, but I got on with it very well. Out of curiosity, I picked up a Project X LZ shaft to try out, which I've used for the past 4 rounds or so. And that's where I'm at now. 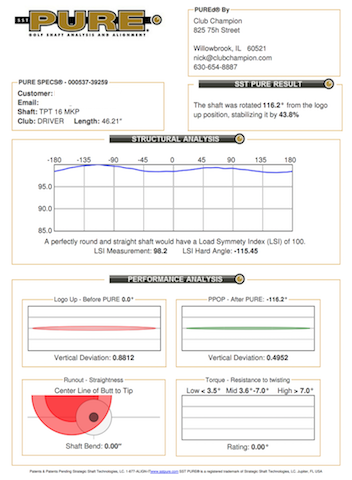 So here are some numbers between my current setup, and the optimal TPT shaft I was fit into. TPT 16 MKP MT SW. So, as you can see, the TPT shaft brought my spin way down. I mean, almost 1000 rpms on average! I'm also launching it lower, and keeping the flight down. Which is great, because I tend to hit the ball way too high from time to time, and it kills me anytime I'm playing in wind. My club speed, and subsequently my balls speed, dropped a little bit. But like I said, probably due to fatigue of hitting so many shots back to back in a very warm studio. Also, my LZ shaft is 1/2" longer than the demo shafts. After liking the 16 MKP MT SW the best, he had me try out both the 15 & 17 versions. I actually got slightly better smash factor with those shafts (averaged a 1.50 on both), but my dispersion went down and was missing both left and right. All my shots missed left, however, I wasn't even hitting into a monitor or anything. Just a bare, empty net. So I had no real reference point of where I should be aiming, and mentally, it's hard to set up when you're hitting blind shots. I've still yet to see a single ball flight with a TPT shaft. But man, did these shafts feel great. I was able to swing smoothly, and it felt real stable and even throughout. My Project X LZ shaft gets a tad whippy when I really go after it, and the TPT shafts have a stiffer tip on them. I also found out, my LZ shaft was playing at a D8 already. I think whoever I purchased the driver from had swapped out a heavier weight in the bottom of it. So, because of that, I chose to get my TPT shaft at 44.75" instead of the 45.5" my LZ is playing at. Helpfully bring down the swing weight just a tad and let me swing it a bit faster. Overall, I really liked the way these shafts felt, and the performance was better than I expected. I can't wait to get this thing installed and tee it up in Colorado elevation. If I can start hitting a majority of fairways, I'll be beyond excited. The 25 or so swings I had in the fitting wasn't enough to cure my itch! I got the chance to get out on the range with Trackman. I compared my driver shaft to the TPT I was fit into. Lots of good data. I’m still putting everything together but should have a nice review posted over the next few days. 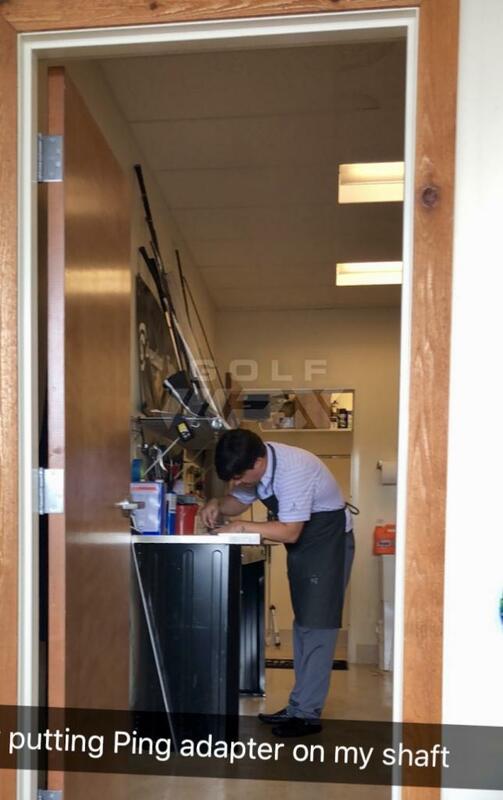 Updated my post (#12) with some additional pictures from the fitting and trackman. Can you all check swingweight at some point? Curious to see the differences in the guys who got low kick point. I’ve been told swingweight can be extremely high. Although now that I think about it they were all Ping builds and the g400 is weighted for a CB shaft, maybe other oem heads wouldn’t have the same issue. Curious to see the differences in the guys who got low kick point. I've been told swingweight can be extremely high. Although now that I think about it they were all Ping builds and the g400 is weighted for a CB shaft, maybe other oem heads wouldn't have the same issue. The TM M3 head is pretty heavy. I had mine built to 45" to get it to D3. At stock 45.5" length it was around D6 which was too heavy. I usually prefer drivers between 44.5" and 45" anyway so it worked out. D6 with the M3 at 45.5”. I'm pretty anxious to see what this shaft can do when it finally dries up. East coast weather is been terrible this summer. I haven't had a single round to test vs my gamer with any roll out. 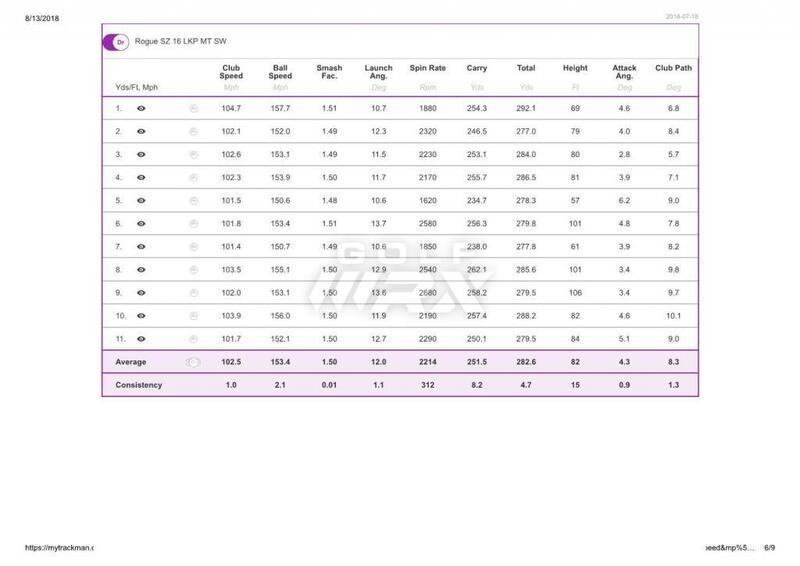 I got a lot of extra yards with the Atmos and the ball flight is a bit higher with the TPT. The carry and dispersion continues to impress me. The ball holds its line so well. Finally getting around to posting my review. I did my TPT shaft fitting at Miles of Golf. The process was very interesting learning about TPT shafts and how they differ from other shaft companies. Especially in the breakdown of flex and kickpoint. I didn't have my best swing during the fitting but we felt like we got enough good data to make shaft choice. I was fit into the 16 LKP shaft. Something that stuck out to me during the fitting was how consistent that shafts are. The fitter had me try the 19 which is essentially a ladies flex. Even a shaft that is way to soft for my swing still managed to consistently hit good shots. It was pretty impressive. My headweight is 202g. Playing to 44.75. Sw is d7.5 I was told. Not sure how that is possible given those specs. 202g isn't that heavy, especially at that length. The TPT isn't that tip heavy! It doesnt feel that heavy. I had lead tape on before but they took it off during the build without me knowing. He said it was d7.5 at the length I wanted....was originally supposed to be 44.5 and d6. Never checked afterwards to see what it was. The low kick point one seems to come out around there or heavier in the few builds I’ve seen, that’s why I was asking. Mine is a 15 mkp mt sw fwiw. I wasnt one of the lucky **** that got chosen for this, but I went in for a driver fitting a couple months ago and got to try this shaft out. Was an awesome shaft! Got my best numbers with it. But ****, these are not cheap shafts!! Were you swing weighting with the demo adapter? The demo adapter on your personal head adds a lot of swing weight. Once they put the shaft on the stock adapter the swing weight should be more realistic. 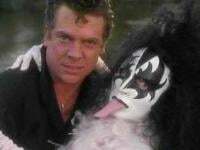 Going to post kind of an abbreviated review for now, and update it as I get more time with the shaft. 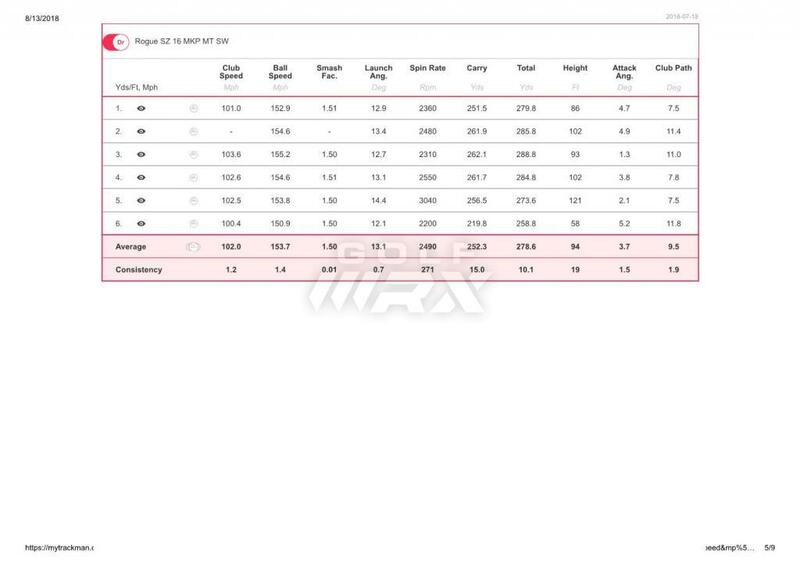 I plan to take my Mevo out to the course to get some comparison numbers; definitely no Trackman, but the numbers I have seen from my Mevo were very close to what I saw during my fitting. I had a small issue with my build, so I'm currently on hold until I get mine back from CC. I appreciate them working with me to hopefully get it taken care of. Me - I haven't played as much golf this season as compared to the past, so some resulting inconsistency in my scores and swing has crept in a little bit. Probably up a little from the 1-2 index I've been playing to the last few years Driver has become one of my strengths after finally finding a very good/reliable driver setup early last season. It was actually originally a retail 2016 M2 head, but after having that replaced under warranty, I moved to a tour issue 2017 M2 head which, while not quite as good as the 16, is still solid. The 2016 M2 was able to give me almost exclusively a left-to-right flight which I very, very much prefer, but the 17 is slightly more prone to fall left. Moving to an untipped, low launch, lighter weight X (in the 65g range) in most driver shafts has also has a significant impact, and the original Whiteboard 63x just works incredibly well for me. Fitting - Unfortunately I didn't receive the Trackman numbers from my fitting, just the SST Pure report for my specific shaft. 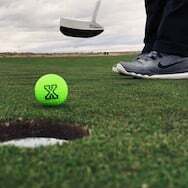 I will say that in the past I have never felt like I was getting everything I could from an indoor fitting as not being able to see the launch and ball flight doesn't give me much feedback. I tested out both LKP and MKP versions of the 15 first to get a baseline compared to my personal setup and see where we needed to adjust. I definitely prefer a stiffer-feeling shaft with less "load," if you will. I want something to hold up on-course when I want to step on it but not punish me on off-days or when I just need to smooth one out there - the Whiteboard has been the best mix of those qualities for me. Moving down to the 16 seemed to help with my timing and being able to feel the clubhead a little better. The MKP had a noticeable kick but still felt very stable which I liked, and the very, very slight bit of extra weight in the MKP felt better to me. In all honesty, I know what I like the feel of in a shaft, but I don't think I am very "shaft sensitive" in terms of numbers on a launch monitor, if that makes sense. I was able to get pretty similar numbers out of the 15 MKP, and 16 LKP and MKP, but the 16 MKP seemed to be the most consistent for me on that day. 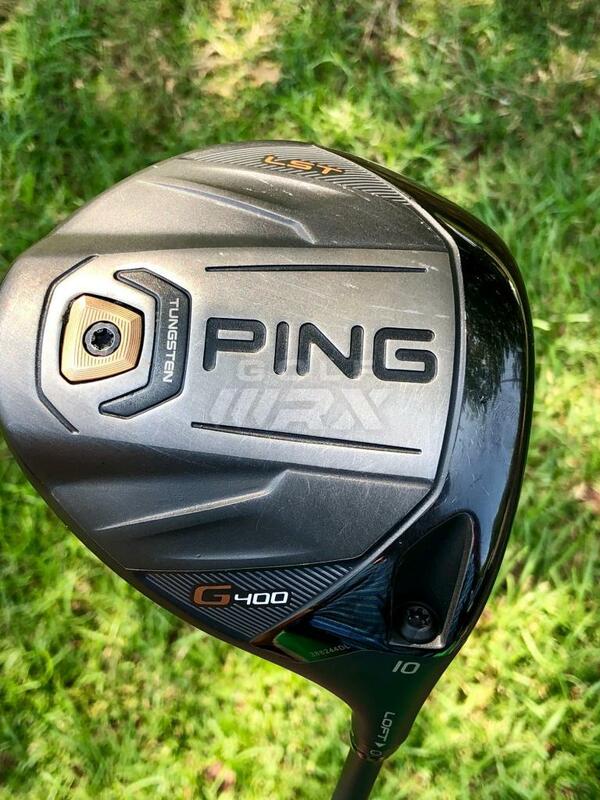 We also tested quite a few different heads and ultimately arrived on either the Ping G400/Max or the M4 as the two with the best numbers. I will say the Cobra F8 and PXG (I believe it was the original 0811) were the most accurate but noticeably shorter than the rest. Accuracy from the 16 MKP overall seemed good although I did have a few that missed both ways which concerns me a little, but I'll reserve any judgment until I get it out on the course. 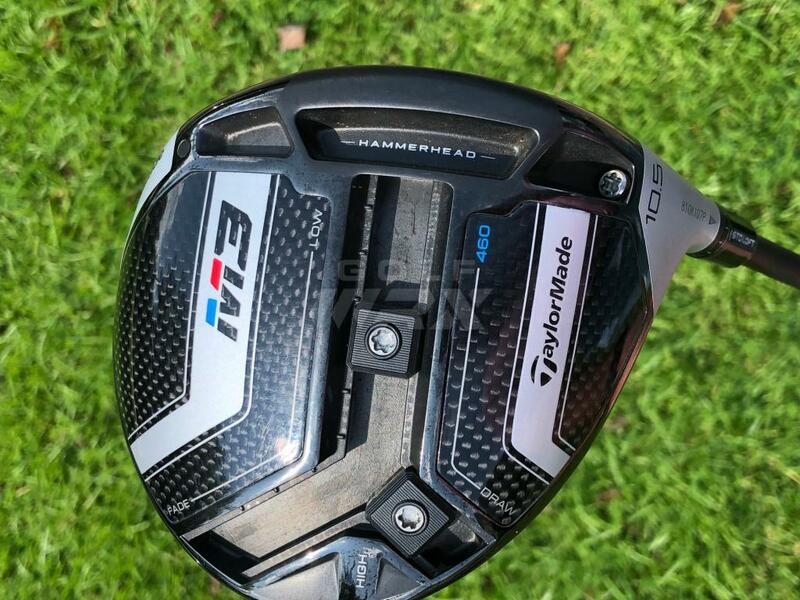 The final combo that we settled on was 8.5* Taylormade M4 + 16 MKP which was convenient since I already had an M4 head that hadn't been used. I elected to trim down to 45" as I knew 45.5 was going to be too long, and SW was around D2.5 when I checked it instead of the D8 that was on the build sheet (I think this is just due to the adapters they use). I prefer a SW around D1-1.5 so I'm already very close. Overall a great experience and I can't thank GolfWRX and CC enough for the opportunity. Once I receive my shaft back I will post some more details/thoughts from actually getting it in play. First, thanks to TPT, Golfwrx, and Urban Golf Performance (UGP) who fitted me. I never expected to get selected for one of these testing of primo equipment…but low-and-behold, I was! 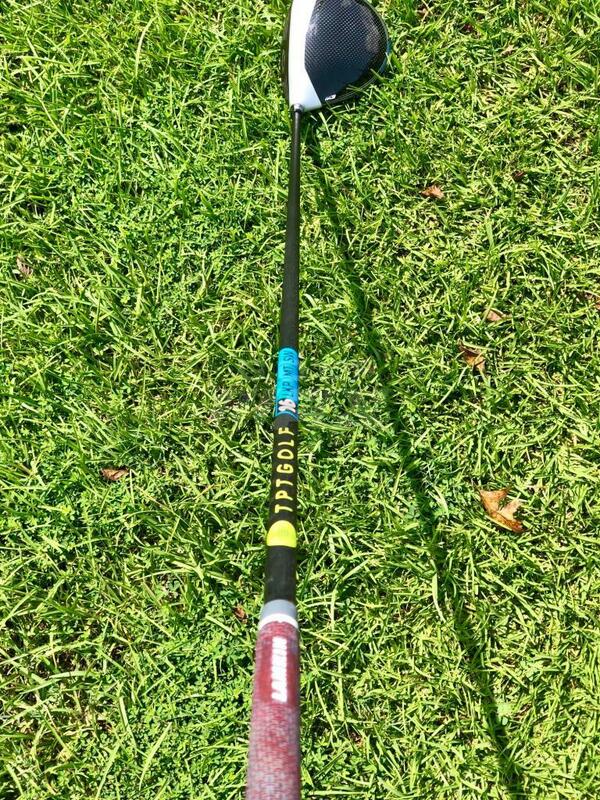 I am going to put my review of the fitting after my review of the shaft because I want to also recognize the quality of that experience in making the overall impression of the TPT shaft I have. But first, I want to talk about my impressions of the shaft. About me. I am 66, with an index that ranges from 6-9. 7 is pretty standard. 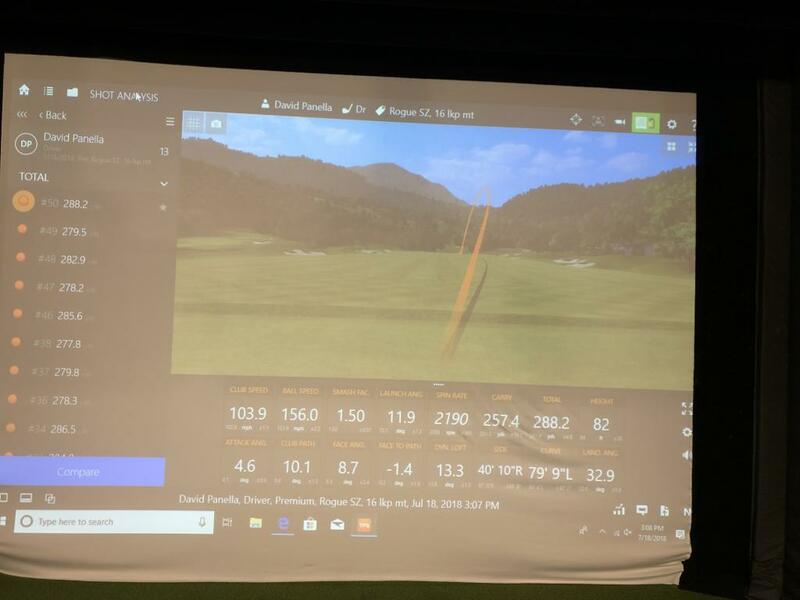 My driver swing speed has increased this summer as a result of stretching, strength training and speed training over the past year, plus lessons and a lot of practice. That said, it’s still low, especially by wrx standards, ranging from 90-97 depending on the day. 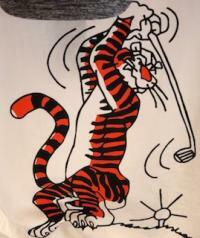 (I suspect I was chosen because I represent this profile - so many who applied are younger with much faster swings). I have one of those swing speed monitors, so I have a reasonable idea of my speed. About my previous setup. I had a Callaway Epic 10.5 with a Project X HZRDUS T800 55 5.5 that weighs 113 grams with adapter and played to a D3 SW on my scale. I still have the same head with the TPT shaft. 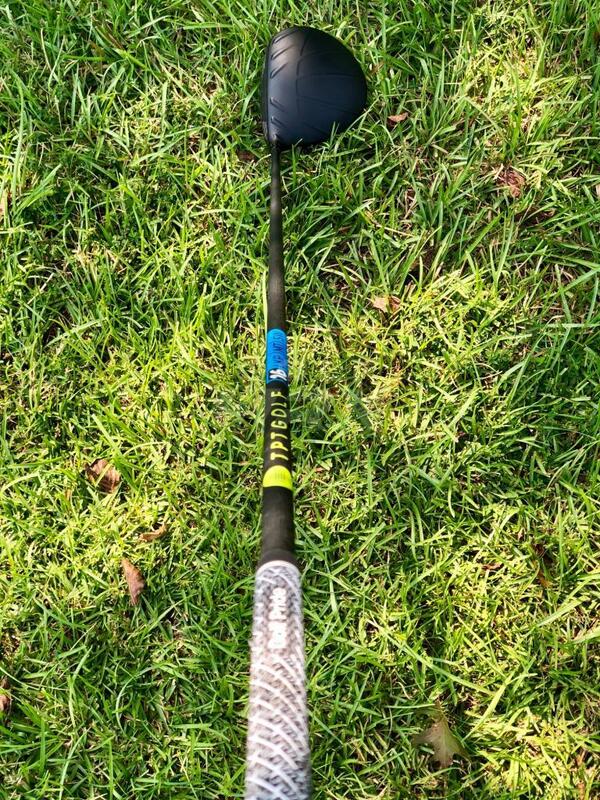 I was totally content with this rig – I hit it consistently well, with a lowish ball flight that rolled out well on the course I primarily played, so that I generally ended up 220-230 off the tee in the fairway. The feel/sound was awful, but performance was fine. About the new setup. 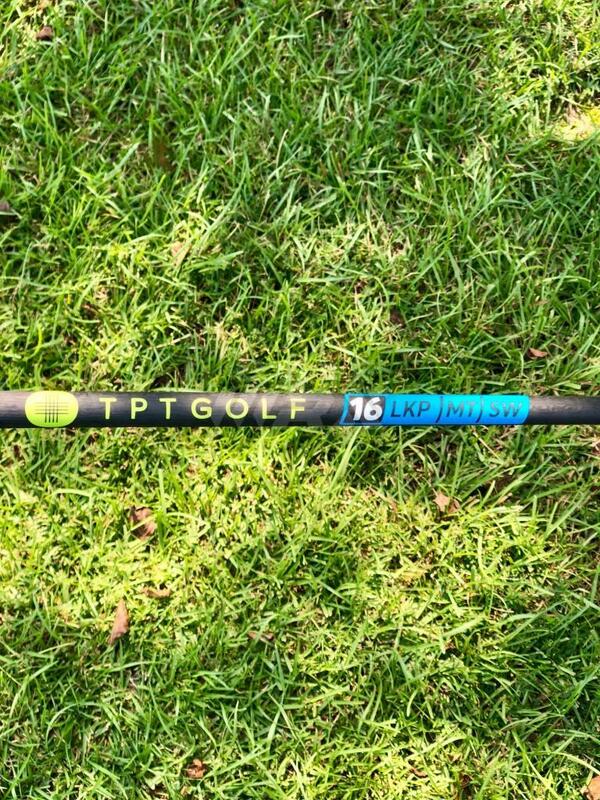 After the fitting, UGP recommended TPT 17 LKP (low kick point) MT SW (medium torque, standard weight) which weighs 118 grams with adaptor, and has swingweight of d4. 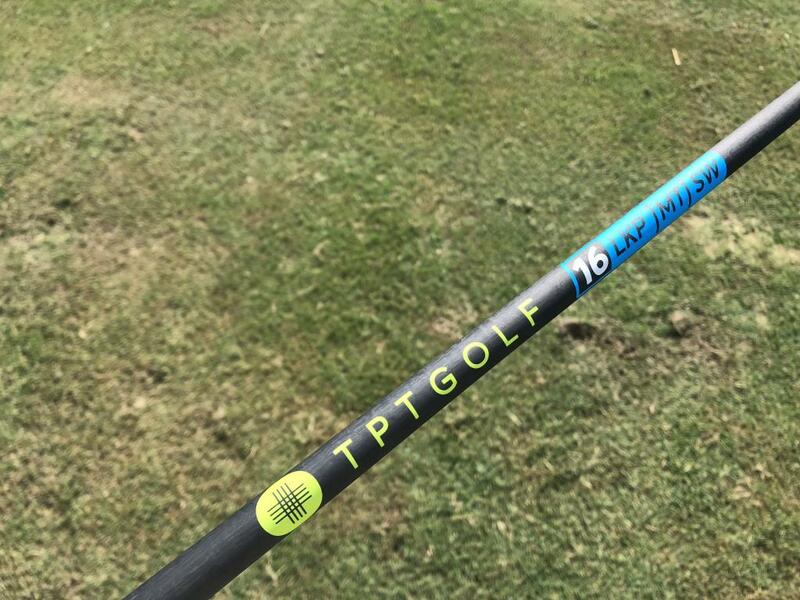 On TPT’s web site, this model (17) is recommended for people with 80-90 mph ss but they say “Higher speed golfers may also find optimal performance from our 17 Series shaft.” They say this about every model and I think it is a fair statement. I had a 1 hour session plus with Matt Mora at Urban Golf Performance (UGP) in West Los Angeles. UGP is class from start to finish. The range was indoor fitted with Trackman and a huge screen. Matt said his goal was to find a fit that optimized my swing – that leads to better swings and better impact. The process he led me through was a thorough analysis. The session wasn’t a sales job to prove to me I needed a different rig. It was more about what’s the path to my best swing, ball flight results. UGP’s approach is holistic – fitness, lessons, club fitting/building – all integrated and geared to playing better golf. It showed in every way. If Matt was ‘selling’ something, it was how all the pieces fit together. I particularly enjoyed this approach. Matt has deep knowledge of swing dynamics and how equipment works with a person’s swing. He commented not only on shaft but swing – melding the two better than anyone ever before. This wasn’t a fitting that was isolated to trackman results, but tied trackman to swing to shaft. 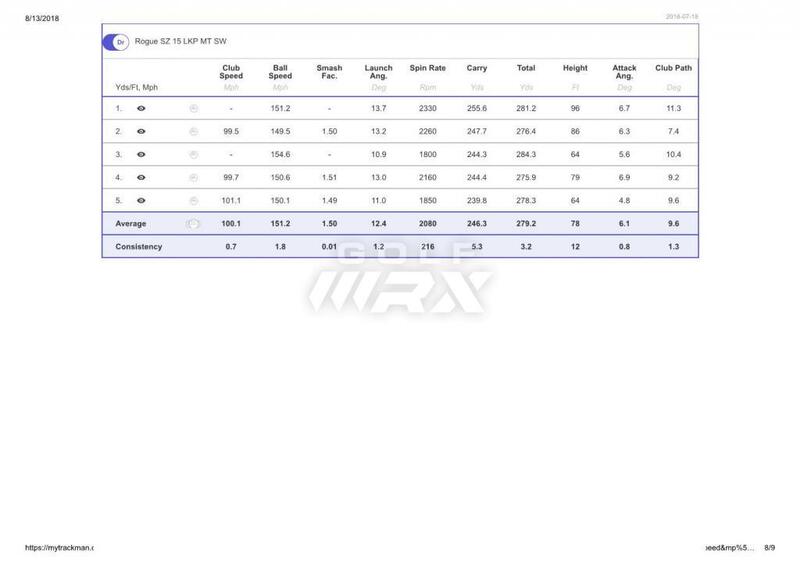 He tested several TPT shafts – different weights, kick points, flex. Looking at how different loads in transition impact the swing dynamics, and explaining why, how he shifted his efforts as we went along. He had an array of shafts ready to go. 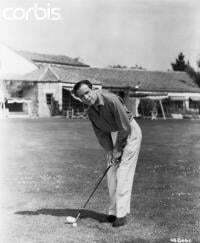 His main goal was to find the shaft that I loaded best in transition so that it encouraged me to turn best through the shot. His comment about TPT shafts was that, of course, UGP has all the major shafts (being a high end facility), but that people, when they try TPT, comment on its difference and quality. 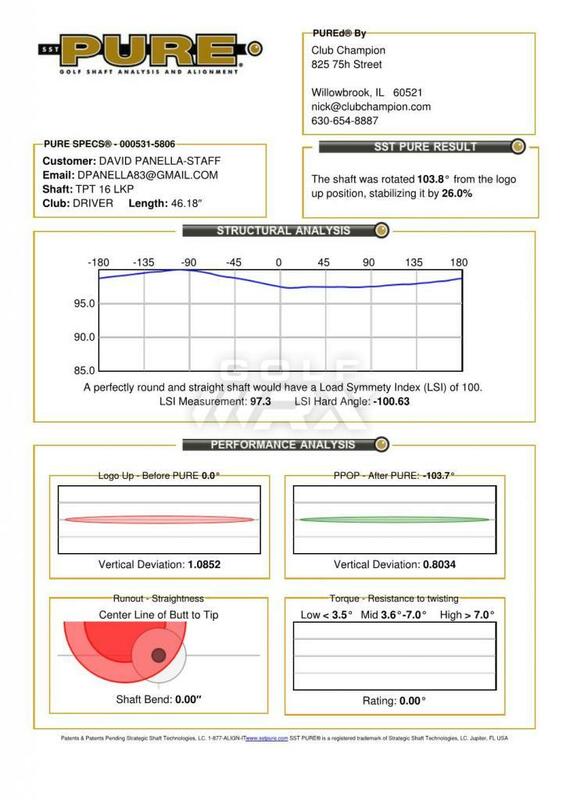 The shaft he recommended was not just based on what my performance was in that hour (which is my most troubling concern for standard fittings – the fitting recommendation is typically based on a snapshot of numbers when my swing and potential have a range) but also embedded his perception of what my swing potential was as I continue to improve and work on range of motion. So, all-in-all, I would summarize my experience as being what an avid golfer and experienced wrx’er hopes a fitting would be: detailed, thorough, clearly thought through and totally fun. Very happy to have been chosen for this testing. Thanks to TPT, WRX and Club Champion for the opportunity. A little background on me. I've been playing golf for about 5 years. I play about 1 to 3 times a week. Currently a 10 handicap. Obsessive about studying the game. I'm getting some sense of what works for me. Driving accuracy has been my focus strong and strong suit more so than distance. My current setup is a 2017 Taylormade M2 with a Diamana S+ 60 Stiff flex shaft. I play my driver at 44.5in. Ball flight is typically high. Miss is typically a slight pull. Went for a fitting at Club Champion in Willowbrook IL. I am a person who is typical weary of launch monitor fittings as I tend to try and beat the machine. I committed myself to swing easy and be honest with the fitter and myself. Feel: The feel was excellent across all of the shafts. The 19 and 18 were just a bit too flexy for me. 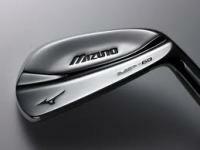 The best dispersion I had was not with the shaft I chose but with the 16 MKP. I should note that by the time I got to the LKP 16 and the 15 shaft, I had put a lot of swings through the machine. Had another go with it this morning. Overall I'd say it is a wash with the Raijin. I think the Raijin feels better and is longer, but the TPT is more accurate. The launch is a little too low from the TPT, so my next goal is to mess with the loft settings to see if I can dial it in a little better. It spins a little too low for me too, not by a lot though. Changing the loft will mess with the puring....so I'm interested in how that plays out. Curious to see your comments on the puring with this shaft since the design is supposed to be more consistent with no spine.